Local business owners showed support for the SSA. 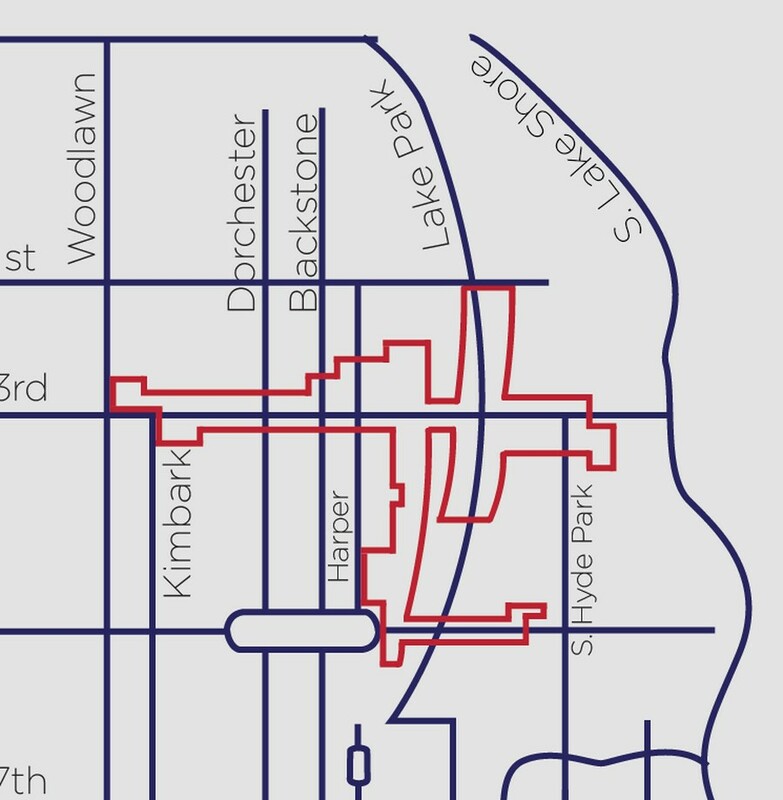 Using funds provided by taxes levied predominantly on businesses, the designation of the red-outlined area as an SSA will lead to additional services from the City of Chicago. A new designation by the City will lead to additional city services for Hyde Park residents. The City of Chicago approved the establishment of Special Service Area (SSA) Number 61 in a meeting in November and in January, and approved the appointments of nine committee members who will oversee the SSA’s operations. The SSA designation will provide special governmental services in addition to existing City services, according to public filings from the Office of the City Clerk. The revenues required to provide the special services will be raised by means of a services tax levied upon the area’s taxable property yearly from 2013 through 2022. The tax will be determined by the SSA committee and will not exceed an annual rate of 0.95 percent of the taxable property’s equalized assessed value. According to public filings from the Office of the City Clerk, the SSA budget for the fiscal year beginning January 1, 2014 and ending December 31, 2014 is $264,508. Cocagne thinks this is a sign of greater community organization and involvement in neighborhood projects. During the SSA application process, community members served on the SSA Advisory Committee and attended meetings to show support for the SSA. The establishment of an SSA in Hyde Park will not interfere with the 53rd Street Tax Increment Financing (TIF) district already in place, according to Cocagne. The TIF district, established in 2001, incentivizes economic development in the area by freezing property tax rates. The added revenues then go into a fund that finances community development projects like Harper Court.